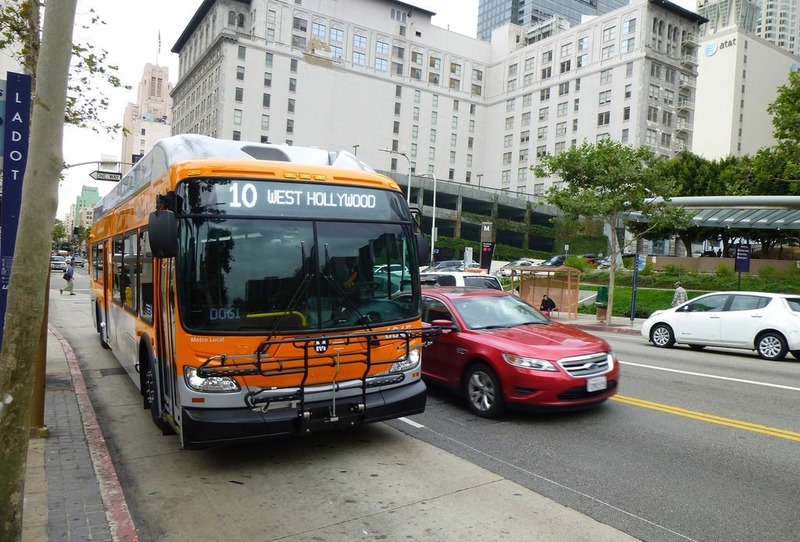 A coalition of 17 environmental nonprofits in Los Angeles is endorsing a new transit tax for the nation’s second-largest metropolitan area. Metro’s board will be considering a transportation ballot measure in 2016 for a sales tax that will help fund additional projects in the region’s long-range plan. The proposed ballot measure will include projects and expenditures over a 30–45 year period and will produce tens of billions of dollars in revenue. The measure is viewed as complementary to a measure approved in 2008 that funded over a hundred miles of fixed-rail and bus rapid transit service serving the region. About 70 percent of L.A.’s transportation funding comes from three local sales taxes. L.A. is in the middle of a massive 50-year transit construction program that is considered the largest public works project in the US. “We also believe that transportation plays a critical role in land use, public health, and environmental outcomes in the region. Metro has an opportunity not only to transform the region’s transportation system, but also to help the region reduce harmful emissions from private and cargo vehicles, make streets safer to walk and bike, connect more people to jobs and recreational places, and make green infrastructure enhancements that will help address current and future climate and drought challenges,” the open letter goes on to say.